As your business journeys on the road less traveled, you may occasionally come across Sharp curves and service challenges that leave you with a dry mouth and white knuckles. Since there may be no way around these obstacles, you’ve got to figure out how to navigate while keeping your business vehicle moving forward on the road. Fortunately, LaserCycle USA is an authorized reseller for Sharp digital printing, copying and scanning devices. This means that although some of the “other guys” are no longer servicing Sharp equipment, we still are. Due to our authorized reseller status with Sharp, we can purchase Sharp copiers and printers directly from them and pass the cost savings on to our own customers. We are also up to speed on training and sales support for Sharp devices. And as an independently owned company, we’re not trying to push our favorite brands to our customers. We seek to recommend the best solution for our customers based on an objective assessment of their needs. We carry, and service, Sharp multifunction devices because they are well made and provide years of reliable service when maintained by professionally trained service technicians. 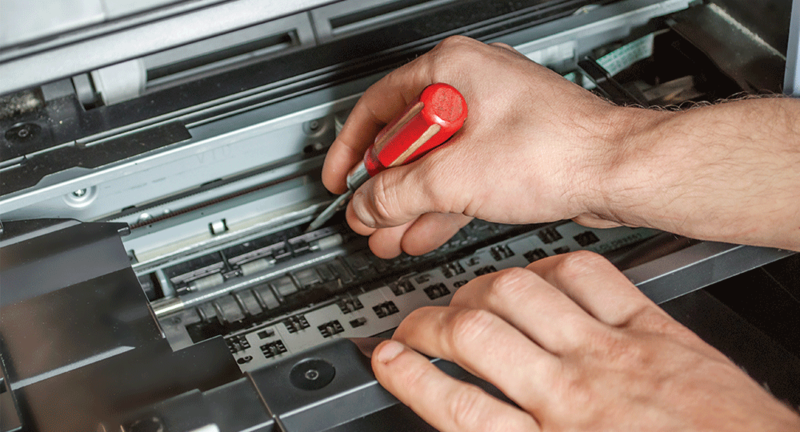 For help in getting your Sharp copier serviced, or in selecting the right multifunction device, contact LaserCycle to schedule a free, no-obligation consultation. I have canon pc940 home copier that is printing lines on the copies. I am an artist and I use this printer to help me transfer images onto clay. The toner has a high iron content that can be transferred and fired. I am hoping to fix this problem. I used to take my problems to Arrow in Boulder for repairs, but they no longer have a repair department. Is this something that you could help me with?